I’ve been doing this twin mom thing for 2 years now, and well, my kids are doing quite well. I think. I believe that qualifies me to drop some wisdom bombs on all of you in the trenches of the first year. First off, I want to tell you that you CAN absolutely do this. I never say “if I can do it you can do it” because nobody likes that and we are all differently capable and beautifully unique. HOWEVER, I am a big ol’ mess of insecurity and doubt and I made it. This is where we are now – they are so much fun and exploring and making us laugh right along with them. They are best friends and share a bond that nobody on the planet will even know but these two and we are so honored to get to be a part of it all. But that first year is a doozy. No lie. IT IS HARD. IT IS SO HARD. We went through hell trying to get pregnant. We knew there was a chance of twins and we were ready. Kind of. 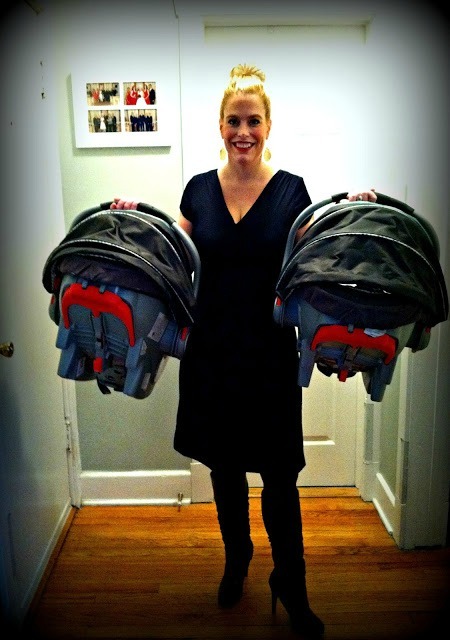 But then the carrying of twins in your belly, birthing them, feeding, diapering, bathing, ALL OF IT, is something that only this pack, this tribe – Moms of Multiples – can truly understand. We are in this together. And all of you new moms of twins, please know we older twins of moms (she says seasoned from 17 months of experience) are here to support you. The first three months after you bring them home you will want to take them back to the hospital on several days and many more nights. You are fearful and scared that you are doing something fundamentally wrong. That you aren’t giving them the proper amount of food or that rash on their bottom won’t heal or that you just don’t have enough hands. And guess what? You don’t. You’ll never have enough hands, but you are enough. Everything you are doing is enough. You will google everything because that is what we do, and some information is extremely helpful and other information, well, you just need your husband to tell you to put your phone down. The first three months there just isn’t a whole lot of communication and it’s a lonely one way street. They want what they want when they want it and YOU are responsible. No recognition in return. It’s disheartening. But you keep doing it and doing it to the best of your ability because one day there will be a smile. There will be eye contact and that look of, “hey are you my mom?” and you just keep plowing through because the payoff is incredible. This was our set up the first 3 months. 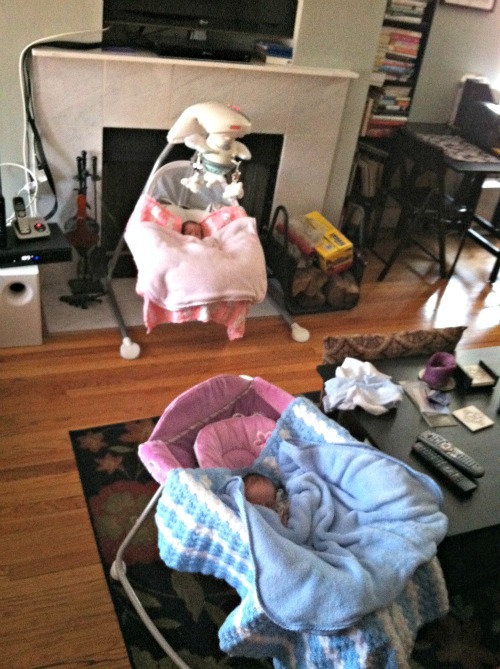 They wouldn’t sleep in their bassinet twin pack n’ play, so we rotated between these two amazing contraptions. You won’t sleep more than a couple hours at a time and that’s ok. All the sleep in the world isn’t worth not having these glorious bundles of soft, elephant skinned fuzzy sweet smelling balls of magic in your arms and within your reach. You just kind of say, HEY WE ARE NOT GOING TO SLEEP FOR A WHILE AND THAT IS OK and move on. If you co-sleep or have them sleep in their cribs/bassinets or in a Rock n’ Play and a swing like we did, with me right next to them on the futon, whatever works for you is best. Whatever gives you peace of mind, as long as they are safe, if they sleep, DO IT. Don’t worry about sleep training or getting on a schedule or stress about all the stuff you read about BEFORE having these babies. Man, if I could go back to the last month of being pregnant and NOT read all the stuff I read, I would do it in a heartbeat. It served NO GOOD PURPOSE to read the rules of what you need to do with twins. I didn’t do any of the things those books told me to and you know what? I couldn’t be happier and my babes are on a great schedule. Stop stressing and start just enjoying. We got into a rhythm and a routine naturally. It just happens as they dictate, because they are babies and they tell you what they need. With twins it’s desirable to have them on the same eating and sleeping schedule or else you will never ever shower or do anything on your own ever again. But I’m just saying, be kind and gentle with yourself. It will all come…don’t stress about the sleep training and all that business. I will say this, you don’t need a ton of gear. It helped that we lived in a tiny apartment and didn’t have room, but you just don’t need it. HOWEVER – when they are old enough to compose themselves – get a jumper swing thing and an exersaucer and plop one babe in each facing each other and you are a free woman for about 15 minutes or so! It’s the best feeling in the world! Do the dishes or laundry or take a phone call or take a shower. 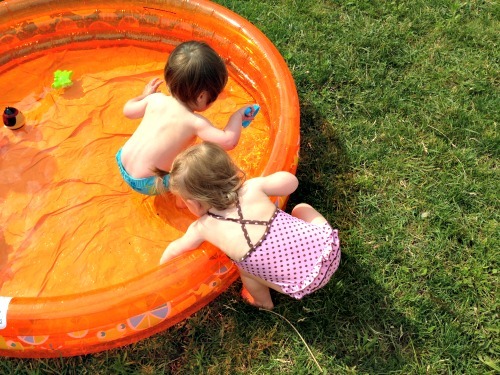 One of the best things about twins is from an early age, they entertain each other. It’s the greatest gift. Ask for what you need and tell people NO. I stuck to my guns on this one. If I didn’t want to see people or go somewhere or do something, I didn’t. I was mama bear and protected our time and our schedule and it’s to this day something I still do. You and you alone know what you need and what your babies need. Protect it. Guard it. These are your babies, nobody else’s. Don’t feel pressured into something if in your gut it feels wrong. Chances are you are on maternity leave if you are a full-time employee like me, and it goes fast, so just enjoy it. My Maternity Leave was the best time of my life and I absolutely made the most of it. I don’t feel any kind of regret about anything, I just feel grateful that I had the time and bonded with my babies the way I did. It was me and me alone with these two during the days for the first 5 months of their lives and I’m so damn proud of us for doing it and doing it well. We didn’t have any help. We didn’t have any night nurses like all the books tell you you MUST HAVE. Sure it would be a luxury, but hopefully you have a partner who can help you at night and you will be just fine. GET OUT OF THE DAMN HOUSE. I know it seems overwhelming. I know you don’t want to. But I promise you, you will feel better. 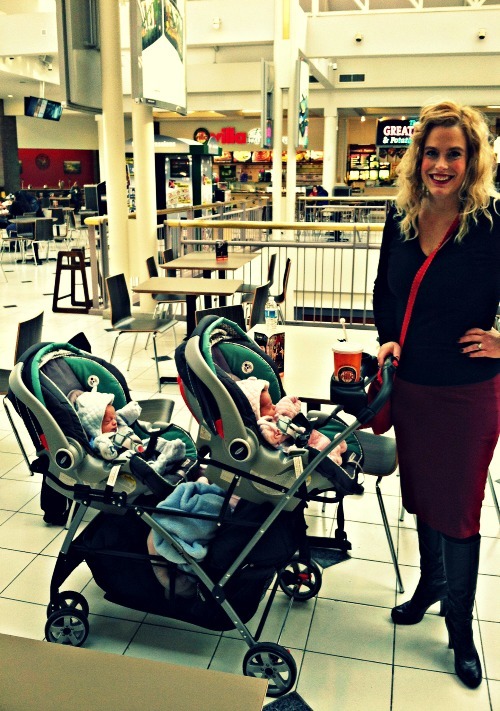 Go out and meet up with other moms on Maternity Leave. It was my saving grace to have connection with other moms going through the same thing. Even for a walk around the block. Or if they are born in January in Chicago, like mine, take them to the horrible little mall by your house and get a terrible coffee drink and just walk around and talk to other people. 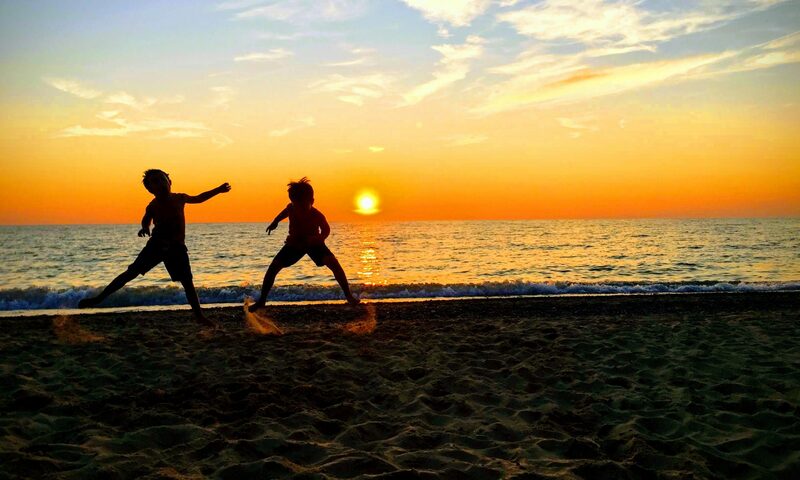 Never underestimate the power of connection and human interaction, even with total strangers. And the sense of accomplishment you will feel at having gotten out of the house with these two little beings, will boost your self esteem and at the end of the day, don’t we all need that? Terrible cheesy mall? CHECK. Yes please. They were 2 weeks old here. If you breastfeed or formula feed, I don’t give a rip, but for me the breastfeeding and pumping ruled my life for the first year. It was wonderful and brutal at the same time. While I couldn’t wait for the pumping to be over, that would also most likely mean the breastfeeding would be over too and that I was dreading. I grew to really love and depend on breastfeeding. I did it for 16 months and then it naturally went away. I let my boy lead in telling me when he was done and just like that, one day he was done. It wasn’t always easy and it sure wasn’t always convenient and way too many people saw my breasts in public, but man oh man, was it a great experience. However you feed your babies, feed your babies. There is no judgment here. Being a mom is about WAY more than just how you feed your babies. If they tell you one or both of your twins may need a helmet, look into it. It’s very common in twins. It’s not the worst thing in the world…expensive, yes. But not terrible and I’m glad we did it. There will be days you wind up in a messy, sob induced heap on the floor and when your husband gets home he will never ever be able to fully understand what you are feeling. He will be supportive and the best partners jump in and take over so you can eat and shower but they will never know what it’s like on your own with these two precious windbags. And there will be more than a few days like this. That’s ok. Because you are a twin mom now. You are in this. And you know what? You are doing great. So cheers to you mamas of multiples! We are part of an elite club and many of us paid such a steep price to get here. Surviving the first year is huge. It just gets better and better. There is so much joy mixed in with the frustration and sadness and difficulty of twins that it really does make it all worth it. Please, the next time you are crumpled in a sweaty heap on the floor – think of me and know, know in your heart that this is temporary. You are stronger than you know for doing this and doing it so well. I am so impressed by you. I am so happy for you. I am so proud to walk among you. Now, just wipe that breastmilk off your shirt and you’ll be fine.